What to see there? Tawau is on the south-east coast of Sabah surround by the Sulu Sea in the east, Celebes Sea to the south and shares a border with East Kalimantan (now North Kalimantan). 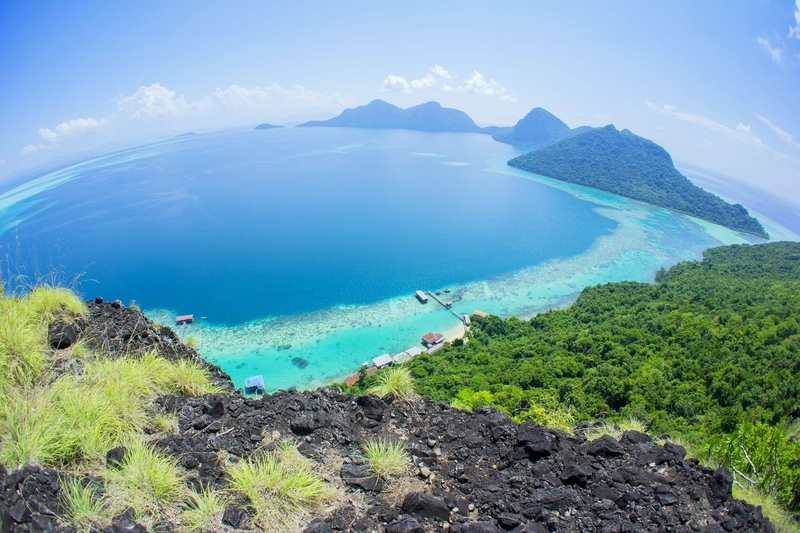 The town is approximately is 540 kilometres south-east of Kota Kinabalu. The main town area is divided into three sections named Sabindo, Fajar and Tawau Lama (Old Tawau). Sabindo is a plaza, Fajar is a commercial area while Tawau Lama is the original part of Tawau. Almost 70% of the area surrounding Tawau is either high hills or mountain ranges. Tawau has nearby conservation areas and areas set aside for leisure. The Tawau Hills National Park has picnic areas, a vast camping site, and cabins. It is 24 kilometres (15 miles) from Tawau and is accessible by road. Here you can visit the tallest tropical tree (scientific name - Shorea faguetiana) in the world that stands at 88.33m! There are also a number of tropical rainforest waterfalls that you just have to dive into namely the Bukit Gelas Waterfall, Teck Guan Waterfall, Madai Waterfall and Ranggu Waterfall. For something a bit more cozy, Tawau Hills National Park has 11 sulphurous hot springs and a suspension bridge on the way to the springs. Bukit Gemok (also known as Fat Hill) is an approximately 428-metre (1,404 ft) hill about 11 km (7 mi) from the town. It is part of the 4.45-square-kilometre (1.72 sq mi) Bukit Gemok Forest Reserve, which was declared a forest reserve in 1984. Then there is Tawau Harbour which is used as a transit point to islands near the town including Sipadan, Mabul, Kapalai, Mataking, and Indonesian islands including southern Sebatik, Tarakan and Nunukan. Situated 200km from Tawau lies the "Lost World of Sabah" – Maliau Basin is a mysterious forest enclosure that has remained pristine and uninhabited by humans. For the adventurous, Maliau Basin definitely looks something like Jurassic World minus the cgi!